Lee University faculty Kristen Holritz, flute, and ChoEun Lee, piano, will perform a recital on Thursday at 7:30 p.m. in the Squires Recital Hall, located in Lee’s Humanities Center. This will be their second collaboration after their previous faculty recital in November 2017. 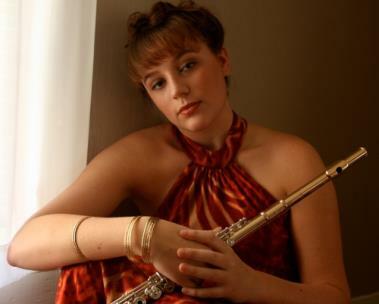 Noted for her “beautiful tone and vibrato,” Ms. Holritz serves as principal flute of the Chattanooga Symphony and Opera, a position she has held since 2013. Ms. Holritz is an adjunct flute professor at both Lee University and Southern Adventist University and maintains a private teaching studio out of her home in Chattanooga. During summers, Ms. Holritz teaches at the Bay View Music Festival in Michigan. She holds Master of Music from The Juilliard School, and a Bachelor of Music from the University of North Carolina School of the Arts. Dr. Lee, an assistant professor of collaborative piano and vocal coaching at the university, has given numerous performances in Korea, the United States, Austria, Italy, Australia, and New Zealand, in major venues including Carnegie Hall, Ozawa Hall (Tanglewood Music Center), and Harris Concert Hall (Aspen Music Festival). She has worked extensively in recitals and masterclasses with renowned musicians, including Stephanie Blythe, Martin Katz, Anne Sofie von Otter, Christine Schäfer, Dawn Upshaw, and Linda Watson. Dr. Lee was named a recipient of the Grace B. Jackson Prize and of the Gwendolyn Koldofsky Keyboard Collaborative Arts scholarship four times. In Feb. 2019, she will premiere co-commissioned vocal chamber music for soprano, saxophone, and piano by Lori Laitman in the National Opera Center in New York City. Dr. Lee holds a Doctor of Musical Arts from the University of Southern California, as well as an MM from the University of Cincinnati and a BM from Kyungwon University. For more information about the concert, contact the School of Music at 614-8240 or by email at music@leeuniversity.edu.